Are exceptional awards enough to keep artists in the Northwest? Probably not. So what will it take? Seattle is a difficult city for artists. Given the recent growth spurts in wealth and wealthy newcomers, that level of difficulty may rise to downright uninhabitable. While uncurbed real estate development and its offspring, displacement, loom as specters that haunt art communities across the nation’s cities, the obstacles here are intensified by the lack of support structures that places like New York or L.A. offer. Let’s graze the iceberg’s tip: We lack art opportunities that pay a living wage, sustainable funds beyond piecemeal grants for starter projects, and options for artist housing that prioritize low-income artists. What the city supposedly doesn’t lack is money, but the relationship between art scenes comprising lower and middle-class artists and the millionaire donors who’ve made their capital in nonart endeavors is sometimes clumsy and bedeviling. About eight years ago, Seattle art philanthropists Shari and John Benhke founded the Brink Award, administered through Henry Art Gallery, with the goal of keeping artists in the Pacific Northwest. Roughly cycling around every two years, the Brink focuses “on the Cascadia region” by selecting an emerging artist from Washington, Oregon, or British Columbia. This year is the award’s fifth and final cycle. The Brink “encourages artists to feel as though they’re supported in their own hometown,” the Henry’s director, Sylvia Wolf, says. “We acknowledge that some artists sometimes feel like they have to leave here to continue their practices.” As the award comes to an end, it’s worth evaluating whether or not the Brink model has sufficiently achieved its own stated goal. 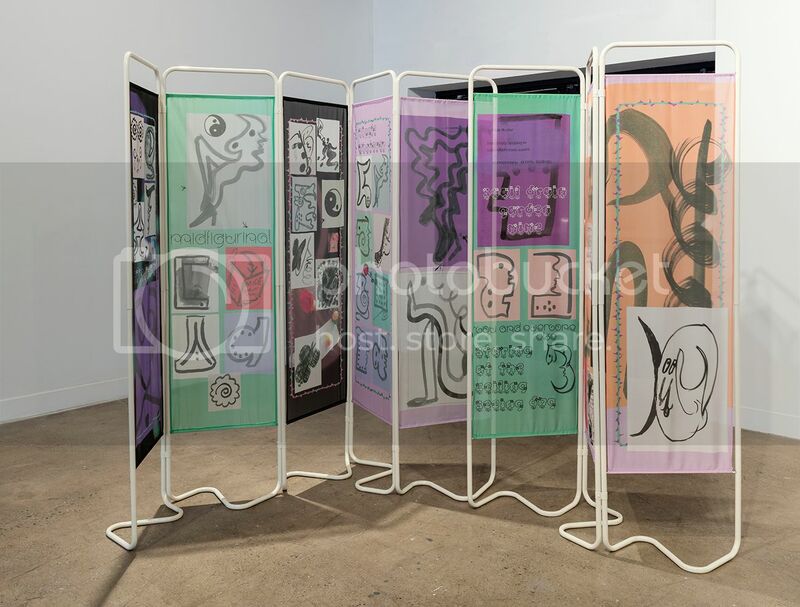 The recipient, to be announced this Friday, will be granted a sizable prize of $12,500, an acquisition for the Henry’s permanent collection, a publication, and a solo exhibition. The seven finalists for this year’s Brink awards are Anne Low and Tiziana La Melia (Vancouver, B.C. ), Demian DinéYazhi and sidony o’neal (Portland, OR), Jovencio de la Paz (Eugene, OR), Francesca Lohmann and Leon Finley (Seattle, WA). This group of finalists have exciting, multiform practices that, to adequately expound upon, would require an entirely separate article than the one you’re reading now. No matter the winner, all are ones to watch closely. Demian DinéYazhi’, Indigenous Survivance. 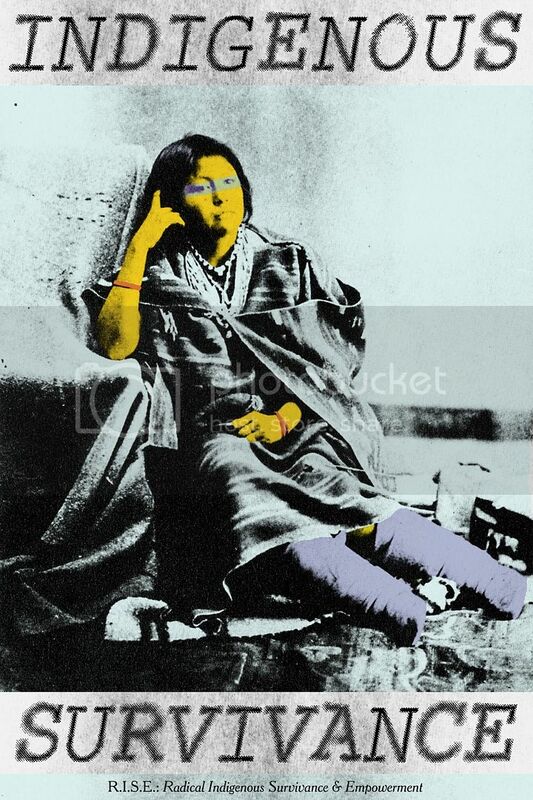 “Poster of a Diné woman photographed during the time of Hwéeldi (Bosque Redondo Internment Camp during the Long Walk of the Diné).” You can find and print posters for free at burymyart.tumblr.com. It’s tough and even un-useful to consider the PNW as a category within which to collectively assess art, since the region encompasses vastly different circumstances for art-making. Not to mention the fact that there are worlds of differences between Canadian and American art and the structures that bolster them. That being said, one continuum across Cascadia is the aforementioned growth in wealth and rent spikes within its major cities, which are ricocheting with parallel waves of anxiety over gentrification, displacement, and “renoviction” (the Vancouver, B.C., colloquialism for evictions with the purpose of renovation). I asked the Brink finalists about the impacts that their living situations have on their work, and housing and viable art spaces were a resounding concern. “When you look at the amount and quality of funding that we are receiving,” o’neal says of Portland, “it’s clear that our work and our practices aren’t a priority here.” o’neal points out that while people frequently dole out verbal praise for work by “black and brown women and femmes,” which they deem “some of the most important work being made in Portland right now,” the lack of funding opportunities speaks louder of the city’s priorities. This year, the Brink has displayed an encouraging prioritization of diversity and vigorous experimentation among its finalists, but it will no longer be a funding resource. In Seattle, there are similar awards such as The Neddy Awards at Cornish College (two awards of $25,000 and six of $1,500) and The Betty Bowen Awards at Seattle Art Museum (one of $15,000 and up to two of $2,500), and others will likely spring up in the future. While these awards mete out generous sums of money, they can only benefit a handful of artists. As well, initiatives solely funded by philanthropists are at the mercy of their whims and personal circumstances. Last year, for instance, Shari Benhke, who also funded The Neddy Awards with John, abruptly pulled the plug on The New Foundation, a center for contemporary art, effectively laying off the entire staff without notice and discontinuing Martha Rosler’s year-long If You Lived Here… project on homelessness and affordable housing. Tiziana La Melia, “Who is the boss of my dreams?” 2016. Courtesy of the artist. How can supporters of the arts instill measures toward a nurturing and materially supportive environment that will keep artists here, while also thinking beyond the infrequent, ultra-competitive exceptional artist awards that are bound to the interests of their funders? As the axe falls on federal funding, the only options seem local. There are a handful of initiatives with the same intention of making Seattle a viable place for artists—housing projects like Artspace Lofts and, most recently, the Office of Arts & Culture’s new cultural space development plan, which includes pending proposals that would grant developers financial incentives if they include art spaces in their plans (a proposal that, from first glance, seems rife with loophole potential). These programs are promising, but they are only meaningful if they incorporate analyses into their strategies of other factors that make livability challenging, such as class and race. How can Artspace Lofts revise their first-come, first-serve application model to incorporate such analyses, so that we don’t end up with another Hiawatha Artspace Lofts—artist housing that’s 80 percent white in a neighborhood with around 67 percent nonwhite people? Will the OA&C’s new cultural preservation plan complicate the “artists versus gentrification” dichotomy and recognize that, while artists are often priced out of housing, they’re sometimes the bellwethers of gentrification, establishing galleries and studios unaccountable to the existing neighborhood, where they are instrumentalized by developers to beautify areas that are currently pushing out lower-income residents? “My experience as a black queer person living and working in Portland is often related to my experience as an artist,” writes o’neal. The conversation about keeping artists in increasingly expensive cities is not one about protecting “artists” as a monolith, or “protecting cultural space” as an inherent good, but about prioritizing an investment in low-income artists, as an extension of accountability to nonartist low-income and working-class communities. If we are to seriously tackle the problem of keeping artists in this city and region, as the Brink intended, exceptional artist awards and even government-funded art initiatives are the mere start of the conversation. The Brink Award winner will be announced Friday, June 16. henryart.org.